Istanbul's most prominent attractions are of the architectural variety, a selection of formidable and historical structures that make sightseeing in Istanbul educational as well as visually rewarding. Sightseeing in Istanbul offers attractions such as the Hagia Sophia, a huge museum and former cathedral, that is adorned with stunning mosaics. Another iconic Istanbul attraction is the Blue Mosque, with its graceful minarets and tiered domes. The 1st century Sunken Palace is supported by hundreds of underground columns, an essential Istanbul landmark. 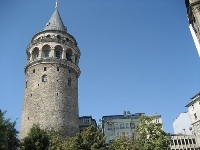 While sightseeing in Istanbul, Galata Tower offers visitors a 360º panoramic view of the old town. 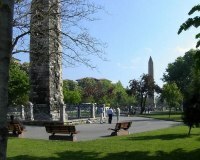 Nearby, the 5th century Land Walls stand testament to the city's resistance of its 1453 conquest by the Ottoman Empire. The Covered Bazaar, or Kapali Çarsi, is the oldest and biggest enclosed bazaar in the world, a must-see while in Istanbul. We are looking for contributors for our Istanbul travel guide. If you are a local, a regular traveller to Istanbul or a travel professional with time to contribute and answer occasional forum questions, please contact us.